Pick up a bottle of this fruity syrup today. 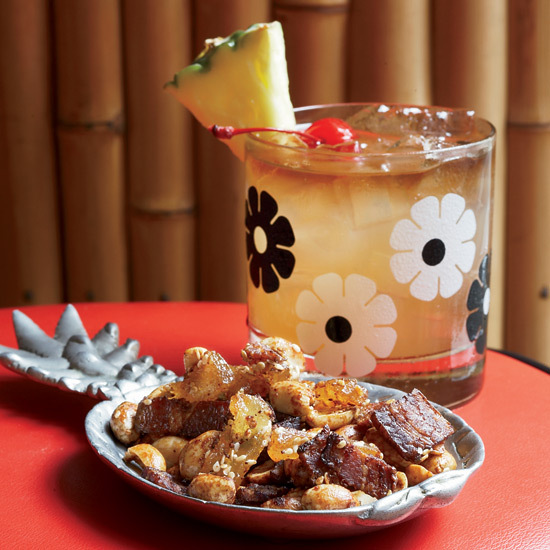 Tiki fans are acquainted with many cocktail syrups — the slightly floral almond syrup orgeat, the clove-lime-almond falernum. But even the most dedicated tiki nerds might not have heard of Fassionola. 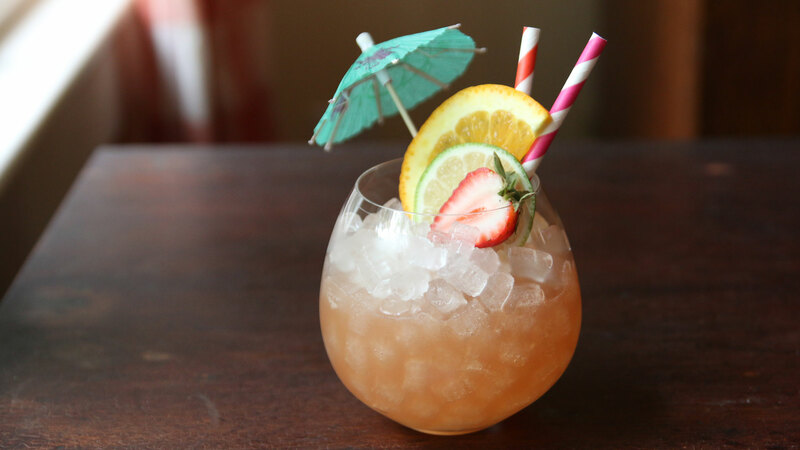 A starring ingredient in the original Hurricane cocktail (as invented at Pat O'Brien's in New Orleans’s French Quarter), it’s an elixir of strawberry, mango and pineapple, passionfruit, hibiscus, and lime. One reason it has fallen out of prominence: It’s kind of a pain to make. Luckily, the New Orleans-based operation Cocktail & Sons has created a Fassionola of their own, made freshly with this season’s Louisiana strawberry crop, and available now in limited quantities. What makes the syrup so compelling? There’s a distinctly tropical character to Fassionola, given its ingredients; and whereas simple pineapple or mango juice can seem somewhat one-note in a cocktail, a small pour of this tiki syrup brings with it a layered, complex fruit character all its own. For the non-drinkers of the world, half an ounce of Fassionola in a big glass of club soda is a delicious booze-free summer refresher; but odds are, if you’re reading this column, you’re after the hard stuff. Here are our three favorite ways to use Fassionola in cocktails this summer. How can you hear “strawberry-hibiscus tropical syrup” and not want to add sparkling wine? Exactly. A sparing measure of orange bitters gives this super-simple drink a perfect balance. 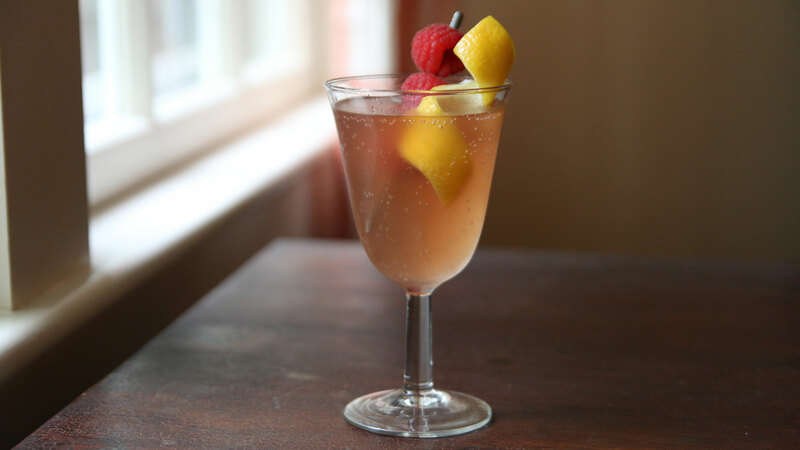 Instructions: In a flute or similar glass, combine 1/2 an ounce of Fassionola and 4 ounces of sparkling wine with 2 dashes of orange bitters. Give a quick stir and serve, garnishing with a lemon twist and maybe a few raspberries. Clearly, a syrup like Fassionola was made to pair with rum. So why overcomplicate things? Just stirring the fruit syrup together with bitters and excellent dark rum — we’re using Diplomatico Reserva, one of our favorites out there — captures the appeal of the bright, dynamic Fassionola in a powerful, boozy drink any fans of an Old Fashioned will love. Instructions: In a mixing glass with ice, combine 2 ounces of dark rum, 1/2 ounce of Fassionola, a dash of Angostura bitters and a dash of orange bitters. Stir until well-chilled. Strain into a rocks glass over ice. 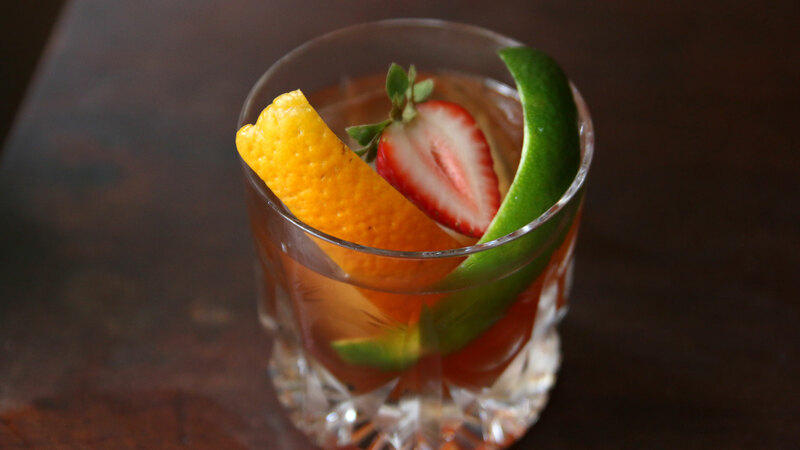 Garnish with one big twist of orange and one of lime, plus a strawberry and raspberry. The Hurricane is one of those curious cocktails that everyone has tried, but no one quite understands. (Including most bartenders!) Too often, it’s a sickly concoction of “whatever rums we had around” and “whatever fruit juice we had around.” Not so this version. Fassionola brings the fruity, tropical edge to a cocktail with both funky Jamaican rum and crisp, clear white rum, plus citrus — both orange and lime — to brighten it up.